A remaster and reissue of the glittering 1972 folk-rock gem. Lately it has been easier to find cover versions of many of the 12 songs on Bright Phoebus than the originals, a fact that has done nothing to hinder the growth in influence of an album that was available for only a short time before the demise of the label that released it in 1972. Jarvis Cocker, Arcade Fire and Richard Hawley have all championed the record, while the Watersons' spiritual heirs include James Yorkston, King Creosote, Adrian Crowley, Trembling Bells and Alasdair Roberts. For them and many others it will be all their Christmases and birthdays rolled into one finally to see the album granted a conscientiously directed remaster (part-overseen by Lal Waterson’s daughter Marry) and reissue (on Domino), with the deluxe CD and vinyl editions also featuring demos of songs written for Bright Phoebus besides extensive and engrossing sleeve notes from Pete Paphides. Bright Phoebus emerged after the demise of the first iteration of vocal group the Watersons – siblings Elaine (known as Lal), Mike and Norma and family friend John Harrison, a quartet from Hull whose singing style exhibited what Rob Young in his history of modern folk music Electric Eden deftly called “polyphonic austerity”. Three albums in two years and a Stakhanovite commitment to live performance brought them a measure of success but insufficient financial security to compensate for the vagaries of touring the British folk circuit in the mid to late 1960s. Lal was a poet first and a songwriter second, her godhead being 19th-century French poet Arthur Rimbaud, and had what guitarist Martin Carthy, a key figure in the birth of Bright Phoebus, describes as an “idiosyncratic way of playing the guitar”. Her brother, in contrast, was more comfortable on the instrument and at least once composed the bones of a song – the title track, unconnected to the 18th-century hunting song of the same name – while up a ladder with a brush in his hand, dashing home to work out the chords before returning to his job. That convivial atmosphere is most apparent from the off, with ‘Rubber Band’ – the sole single to be released from Bright Phoebus, sung with gusto by its writer Mike Waterson – waddling out of the blocks with a whimsy redolent of Sgt Pepper that, if not initially then later, sits uncomfortably with the bulk of its parent record. Perhaps its placement as the opening song was a sop to commercial objectives. Whatever the truth, it is a feeble start to a record that deserved better. Having skirted psychedelia and pagan folk, Mike later takes the listener down the road of rock & roll with ‘Danny Rose’, a Brylcreemed picaresque which ends with the car thief of the title perishing in a ball of flames. Later, he leads a six-strong chorus line through the folk-meets-country rock pastoral ‘Shady Lady’ – the voices so thick they blur the joins – before the closing title track, in which the two siblings inhabit familiarly folky territory before the band and ad-hoc choir kick in for the climax of a rudimentary but bewitching paean to the mood-enhancing power of the sun, its optimism long overdue. 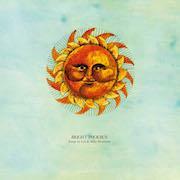 While Mike Waterson’s role in Bright Phoebus is central, what sustained this album during its four and a half decades in the shadows – and will ensure its endurance for years to come – is the contribution of Lal Waterson, both as a songwriter and a singer. Twine those two skills around each other and you have something unbreakable, something permanent. On Bright Phoebus Lal’s lead vocal parts are free from fuss or dynamic complexity: the words and melodies are so acute there is no need for them. Any shortcomings as a guitar player were irrelevant – her harmonic sense, as Martin Carthy noted while helping develop her songs in Hull during the album’s gestation, was astonishing. Lal was also blessed with an instinct for song structure that bucked convention, guiding her often mournful but never maudlin narratives and melodies down untrodden paths. She sidestepped a linear method of uncovering the truths at the heart of her songs in favour of abstract or impressionistic approaches. Such is their consistently high quality it would be folly to choose between ‘Fine Horseman’, ‘Never the Same’, ‘Winifer Odd’, ‘Red Wine Promises’ (sung by Norma Waterson), ‘Child Among the Weeds’ and ‘To Make You Stay’. Within these six songs are expressions of fantasy, despair – at losses past and future – and unapologetically drunken contentment, while there is also a strand of storytelling as succinctly poetic as the melodies that carry it - ‘Winifer Odd’ takes all of four short verses to deliver a compressed chronicle of the titular character’s 34 years on Earth. Given the cross-pollination of music genres in the 21st century, it seems ludicrous that Bright Phoebus was hobbled on initial release by being neither rock enough for one potential audience nor folk enough for another. While its creators didn’t live to enjoy the plaudits the remastered edition of their masterly work will undoubtedly attract, the rest of us can give thanks for the efforts of those who kept the flame alive.